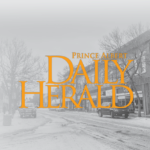 Prince Albert salvaged the weekend with a blowout 6-2 win over the Yorkton RawTech Maulers during their Sunday matinee matchup. 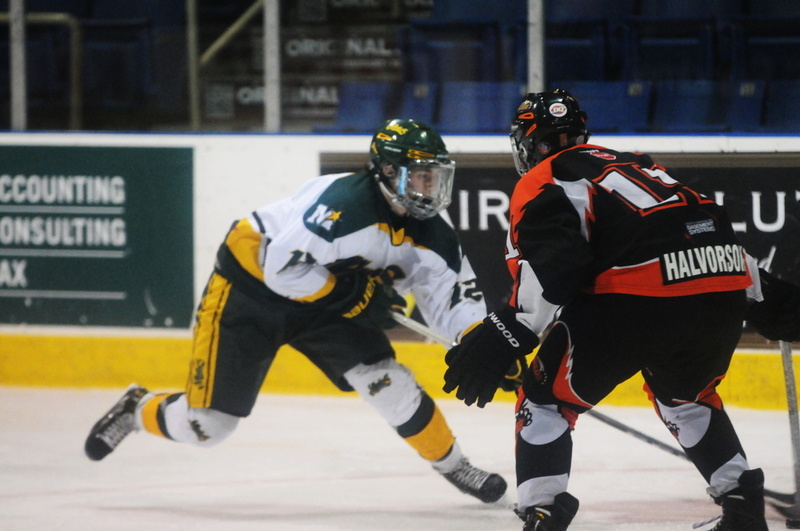 Following a 5-2 loss to the Moose Jaw Generals, a game that saw Kyrell Sopotyk notch his third goal in the last two games, the Mintos came out strong against a Yorkton team just three points behind them in the standings. “Against Moose Jaw, they are right at the top of the league, we’re close,” general manager Don Fauchoux said. Sopotyk kept his goal streak going with his 20th and 21st of the season, allowing the Mintos to cruise the rest of the way as they try to solidify a playoff berth. “That was huge, as you can see the standings we want to get a little bit of separation and kind of pull away from that group of five or six teams that are bundled together,” Fauchoux noted. In the opening frame it was all about crashing the net for the green and yellow. Two unanswered goals came via a strong desire to outmuscle the opponent and put back consecutive rebounds. Jacob Leicht fired a Connor Pyne rebound into the back of the net for his seventh of the campaign before Sopotyk bowled into the crease, digging deep for his first of two tallies of the game. The middle stanza kicked off the same way the first period ended, with a Sopotyk tally, this time on the power play. Alex Moar, who has been a rookie heavily relied on this season, and for good reason, chipped in with his 18th assist of the season — he finished with two points on Sunday. Cael Zimmerman extended his point streak to three with his second helper of the contest. Logan Barlage took over from there with back-to-back-to-back goals, deflecting his 20th past Jordan Schmuland courtesy of a Braden Schneider blast. Two minutes later, the Humboldt product broke away from the Yorkton defence, rifling his 21st into the top of the cage. Barlage registered the lone goal in the third for his hat trick, Ty Mosimann and Kalem Nohnychuk collaborated on the marker. With the three-goal game, Barlage took over sole possession of the scoring lead in the SMAAAHL. “A 20-goal season in our league is huge,” Fauchoux said. On the back end it was Tye Morin winning his third start in his last four games with a 32-save performance. Yorkton spoiled his shutout bid, scoring twice within the final 30 seconds. The five-game home stand comes to an end next week as the Mintos host the Battlefords Stars on Thursday before a big test in the Regina Pats Jan. 14. “We want to continue rolling along here, we can’t take Battleford lightly. They are under us in the standings and we have to keep it that way,” Fauchoux said. The puck drops at 7 p.m. both nights. Next articleLife saving program comes to P.A.